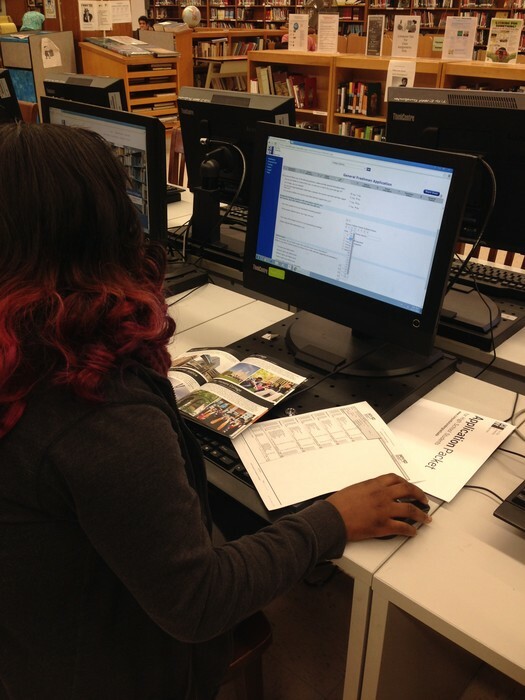 Over 400 senior students visited the library during College Awareness week to complete applications to CUNY colleges. 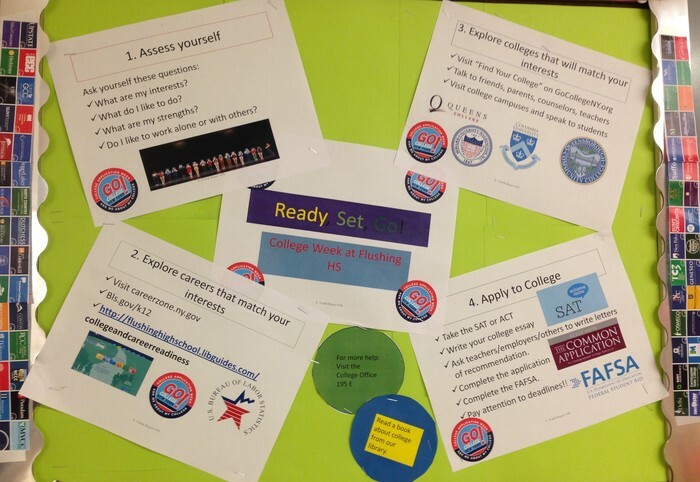 Ms. Hanson and the college guidance staff were on hand to guide students through the application process. 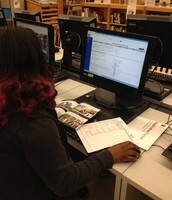 Many students also browsed our print and online college collection. Why eat Hershey chocolate when you can have Godiva? In honor of National Chocolate Day, October 28, we challenge you to try our databases. Google is like Hershey chocolate, popular and common. 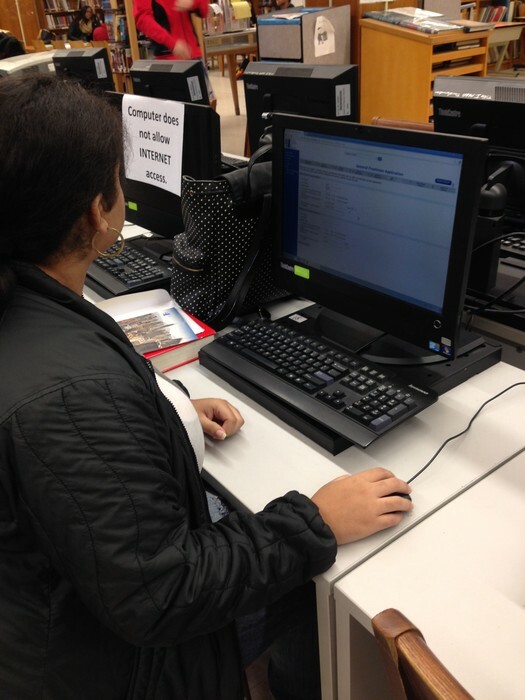 Our databases take a small learning curve but once you get used to them, they are more focused towards differentiated instruction. Try our ELL database for English Language Learners, use the "topic finder" tool from Gale to visualize a search by color. 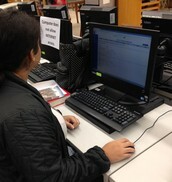 Gale Topic Finder helps the researcher see her search graphically. Search over 100 different magazines and newspapers, has the topic finder tool. 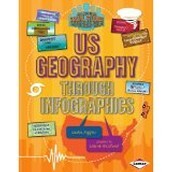 English Language Learner, includes many different worksheets on writing. Plan for Summer of Scholarship Now! 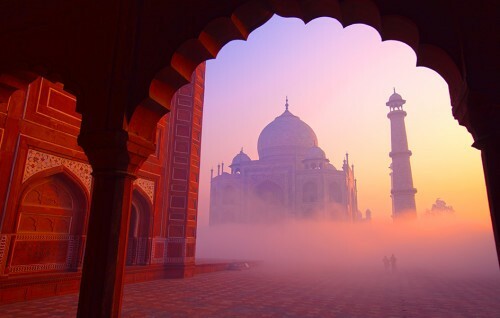 Do you want to travel to India this summer? Apply for a Fulbright-Hayes scholarship. The program combines educational seminars, visits to local schools, meetings with teachers, visits to cultural sites and more. Deadline is December 9, 2015. Participants are expected to pay a cost share of up to $600. Apply early!!! All applications must be submitted online. Celebrate National Geographic Week November 9th-13th, Native American Heritage Month and Latin Awareness Month this November with resources from your library! !